January 18, 2016: Facebook’s Conversion Tracking Pixel has changed and this article is outdated. 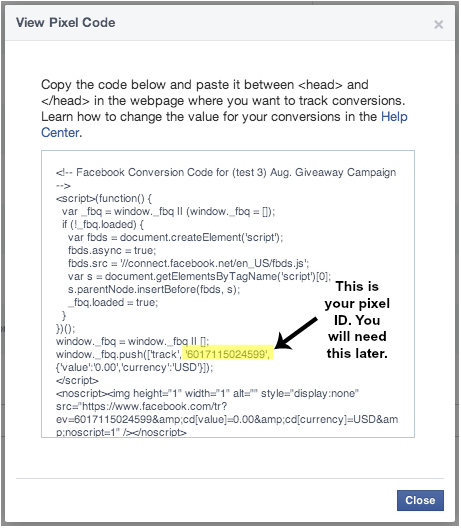 Please reference our most current article for adding the Facebook Pixel to your Campaign. Campaigns are usually more successful when you spend some money to promote them. One of the most popular (and cost effective) ways to get the word out about a Campaign is to invest in Facebook ads. But how do you truly know if your paid advertising efforts are resulting in Campaign conversions? We have the answer to this commonly asked question. In this post, we’ll explain step-by-step how to track the conversions of your Campaign’s Facebook ads. 1. Click “Conversion Tracking” (located in the left-hand bar). 2. Click “Create Pixel” to create your tracking pixel. Next, use the drop-down menu to select your “Category” and give your pixel a name that’s related to your Campaign. Now that you have your conversion pixel, the next step is to verify it. Before you can verify it, however, you must decide what type of conversion you want to track. In this resource, we’re going to cover two types of Campaign conversions: leads and registrations. 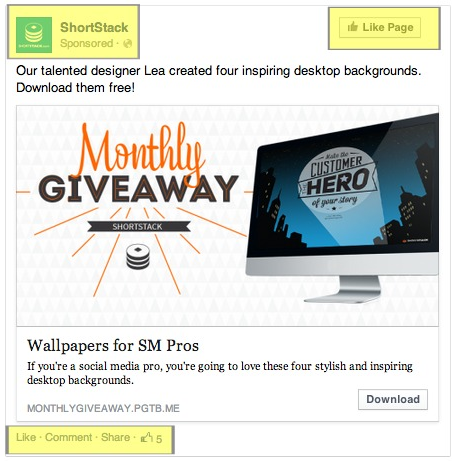 • A “lead” is a user who lands on your Campaign after they have clicked on your Facebook ad. • A “registration” is a user who completes (or submits) your Campaign’s promotion form after they have clicked on your Facebook ad. Note: For this post, it’s easiest to use the terms “lead” and “registration” to describe these actions, but you can define these terms for yourself. For instance, a “lead” to your business could mean when a user downloads a resource from your Campaign. 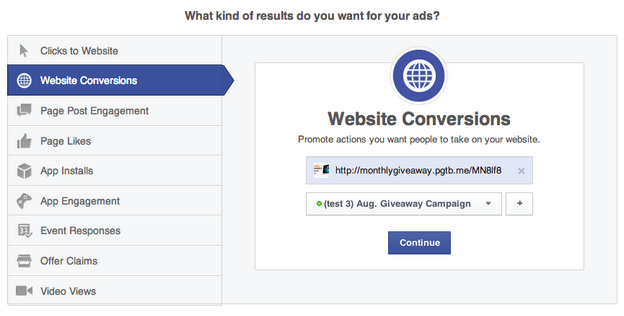 Tracking leads (the number of people who visit your Campaign as a result of a Facebook ad), is simple. 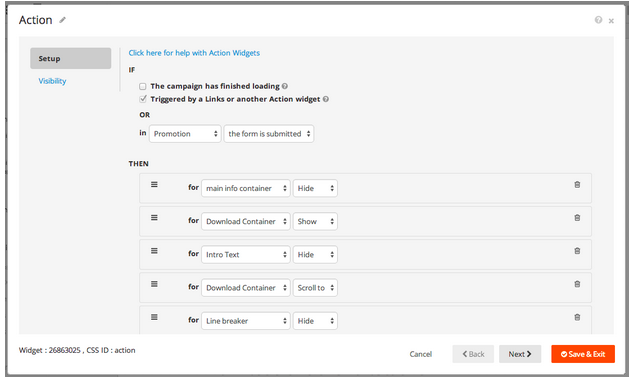 Open up your Campaign within ShortStack’s Campaign Builder and click on the Code Widget. 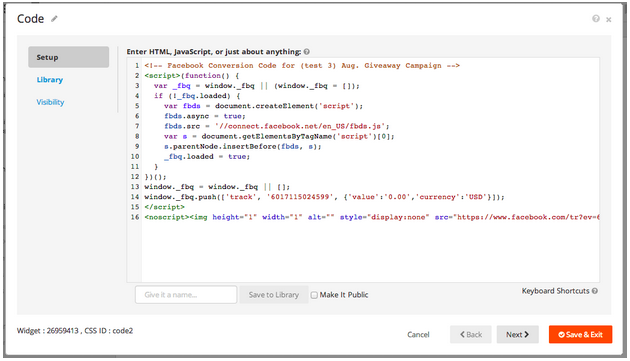 In the Code Widget, paste your conversion tracking pixel (the piece of code Facebook provided you in step 1) in the open field. Click “Save & Exit” and you’re done! To verify your tracking pixel, publish or refresh your live Campaign. Now go back into the Ads Manager, and under their “Conversion Tracking,” confirm that the status of your Campaign’s tracking pixel is Active (green). By pasting your exact conversion tracking pixel on your Campaign using the Code Widget, your pixel will fire each time a user lands on your Campaign. So what happens when you don’t want your conversion pixel to fire until a person has completed an action on your Campaign? We’ll explain this in the next section. To verify your conversion pixel to track registrations (when a users submits a form on your Campaign), you first need to use ShortStack’s Action Widget to define when your conversion pixel fires. After a user successfully enters your promotion, you might want to reveal a hidden Rich Text Widget (or some other kind of Widget) thanking them for entering. Our Action Widget was specifically designed to handle these “if this then that” scenarios. Now that our Action Widget is configured, let’s setup our code snippet. As you can see, there are two values highlighted in the code snippet shown below. The first is your Facebook pixel ID — which you can find in your pixel code — and the second is the CSS ID of the Widget you want to show when a user enters your promotion; in this case, our Rich Text Widget. To find a Widget’s CSS ID, hover over a widget in the Layers Panel. In the help pop-up that appears, make a note of the bold word with the hashtag in front of it. This is the CSS ID (hashtag included!). Replace the pixel ID and CSS ID in the code below with your own. After you’ve edited your code snippet to include your Facebook Pixel ID and the Widget ID with your specific values, copy and paste it into the Code Widget. Click “Save & Exit” and you’re done. To verify your registration pixel, in addition to refreshing your Campaign you must also give your Campaign a test run, i.e. go through the exact steps a user would take on your Campaign. Because you set up your pixel to fire once an action is taken, this is crucial step in verifying your pixel. It’s best to publish your Campaign to a “Sandbox” page to do your testing. What’s a Sandbox page? If you would like to do some testing before installing to a company Facebook page, you can create a Test Page in Facebook (we call this a Sandbox environment) that you install your apps to for testing purposes. It’s like creating a Page for your company, but this Page does not have any fans so you can test and tweak without anyone seeing it (or only sharing it with specific viewers). You can also try confirming your pixel by testing your Campaign in the Campaign Builder while you’re in “Live Data On” mode. To get in “Live Data On” mode, click on the blue “Test your Campaign” button in the top center of the Campaign Builder until it turns green. We know this part can be a bit tricky. If you need help, email us at theteam@shortstacklab.com. 3. Paste your Campaign’s URL (make sure it contains pgtb.me in it) in the open field and select your tracking pixel in the drop-down menu. The metrics you see in your Ads Manager will not be the same as the metrics you see in your Forms & Promos dashboard. Also, your Ads Manager metrics will not always mean what you might think. 1. When recording “lead” conversions of your Campaign in the Ads Manager, it’s likely your ad’s “conversions” will not equal its “clicks.” Clicks, according to Facebook, is the total number of clicks an ad receives. If you’re promoting a Page, event or App, clicks also include Page Likes, event joins or app installs that came from your ad. What this means is that a user can “click” on your ad without being directed to your Campaign, preventing your conversion pixel from firing. For this reason, it’s common for an ad to have more clicks than conversions. 2. Compare your Campaign’s organic versus paid conversions by subtracting your Ads Manager metrics and ShortStack analytics. If you are tracking “lead” conversions, in ShortStack’s Campaign Manager, click on the bar graph icon next to your Campaign. This will direct you to your Campaign’s analytics. There you will find your total number of Campaign views. Next, take your ad’s conversion metric found in the Ads Manager and subtract it from your total number of app views. The difference will be your Campaign’s number of organic conversions. If you are tracking “registration” conversions, go into ShortStack’s Forms & Promos dashboard and click “View Entries” next to your Campaign. Next, take your total number of Campaign entries and subtract it from your ad’s conversion metric found in the Ads Manager. Again, the difference will be your Campaign’s number of organic conversions. 3. 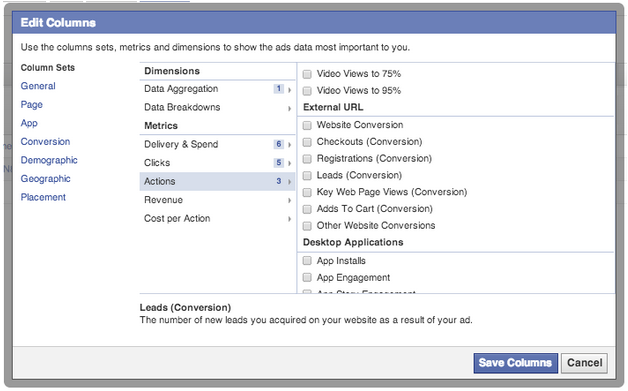 To discover advanced data about your Facebook’s ad(s), click the “Reports” tab on the right-hand side of the Ads Manager. In the reports tab, click on the “Edit Columns” button. 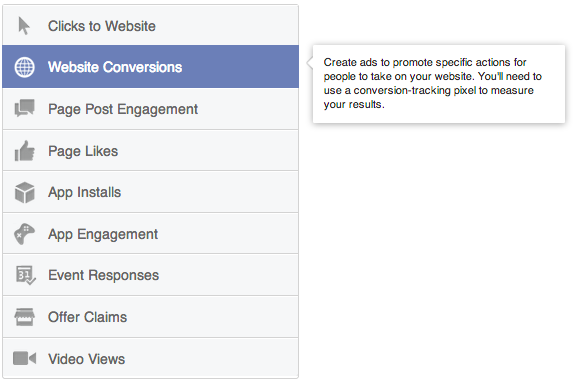 When the pop-up appears, select other metrics you would like to know about your ads.